Sterling Silver Cultured Freshwater Pearl Studs 2 Pairs Only $7 Shipped! You are here: Home / Great Deals / Sterling Silver Cultured Freshwater Pearl Studs 2 Pairs Only $7 Shipped! Pearls are the epitome of elegance. 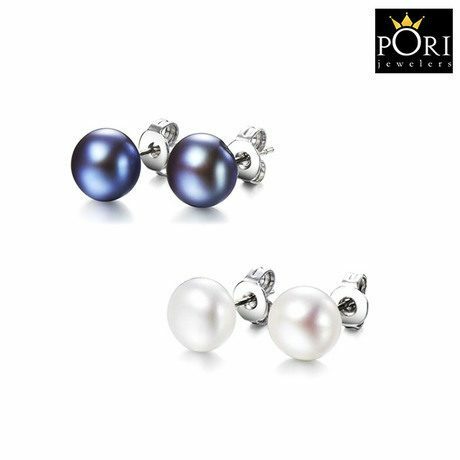 Complete your elegant look with these 2 pairs of Sterling Silver Cultured Freshwater Pearl Studs! Each pair is a different color and features pristine pearls that will certainly add a layer of sophistication to your style. These fabulous Sterling Silver Cultured Freshwater Pearl Studs 2 Pairs are Only $7 Shipped!